Mike Cernovich’s latest film, Hoaxed, exceeded my expectations on every level. Mike’s last documentary Silenced, was an excellent entry into filmmaking, but it wasn’t ready for the premier league. Even Mike will tell you Silenced was a solid “B.” But Hoaxed? Hoaxed is an “A” and ready for prime time. Today’s information environment is bewildering. We are bombarded by news and stories from countless sources, many of which are anonymous or unknown to us. New narratives laced with “facts” rain down constantly to persuade us. Competing storylines, perspectives, and realities vie for our attention and our loyalty. Mega-corporations, medium-sized outlets, and renegade indy journalists all push out their version of the truth. Many of us readers are overwhelmed. The sheer volume of information turns making sense out of things into a futile and irrational exercise. We’re exhausted – by design. Saturation of the information space is deliberate. When there’s too much data to process we are forced to trust some sources and distrust others. Knowing which to rely on and which to discard is almost impossible. Mass media companies like CNN and MSNBC know we’re weak. While they purport to be purveyors of truth, in reality, media corporations are largely tools of the political and cultural establishment. They take advantage of our weakened ability to make sense of the world and exploit us by pushing their own agendas. These agendas are larger than any one person, larger than any journalistic duty, and larger than the morals and norms our country is founded upon. Thankfully, technology and the internet have made fact checking and calling out the media companies easier than ever. In the old days, TV and newspapers were the sole sources of data, and they controlled our perceptions through carefully curated releases of selected information. Today, there is a sea of new media who have made it their mission to peel back the walls of curation, to dig through the narratives, and what they’ve discovered is not only are media companies hiding things from us, they are also outright lying. Lies from the media, combined with lies from the government are a danger to individuals, organizations, and society-at-large. Individuals like myself have had their lives ruined by disinformation and poorly reported facts, leading to lost jobs, social shame, and general ruination – while lies and hoaxes leading up to the Iraq War II lead to millions of deaths and the destabilization of an entire region. Hoaxed is a comprehensive look at the dangers of #FakeNews from both the right and the left. The movie empathetically describes individuals who’ve been attacked and maligned. It addresses mob violence and gun attacks and even squares up with global politics and genocide. 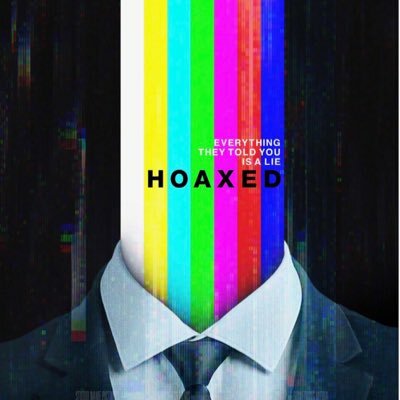 Directed by Scooter Downey and Jon du Toit, Hoaxed isn’t what we might have expected from a Cernovich production. It will shock some people with its evenhandedness and lack of political perspective. And others will be surprised that Cernovich didn’t use the film to exonerate himself or prop him up as a flawless mastermind. In fact, the later parts of the movie will reveal to both the left and the right how the media not only deliberately divides the nation through proactive dishonesty – but also by covering up things which would bring us together. In the past, our nation has been most united when we have a common enemy. The Nazis, the Soviets, even the English. Today, the media and politics want us to fight each other. They want us at war with ourselves so that we can be controlled and manipulated. But the reality is that we already have a common enemy: the media and their unholy alliance with the political establishment – the true informational terrorists. If you want to know the truth about #FakeNews, if you want to understand the world around you, if you want to feel sane in a sea of madness – watch Hoaxed. Open your eyes, open your mouth, and become unsilenced. Here are 10 things you should know about Hoaxed. The cast is an all-star lineup. James O’Keefe, Tim Pool, Laura Southern, Ryan Holiday, Scott Adams, Stefan Molyneux and Gavin McGinnes are just some of the big names Cernovich scored for this film. I won’t give away the biggest stars to save some suspense for new viewers, but I am confident you will be impressed. Hoaxed is about more than just media bias around news events. The film also delves deep into the damaging personal attacks unleashed by a manipulative media pushing an agenda. Cassie Jaye, a feminist documentary filmmaker, set out to document a critical take on the Men’s Rights Movement. But in the process, she learned unexpected lessons. While filming men she thought would be monsters, she discovered a world of men hurt by our current cultural norms around marriage and relationships. Jaye’s journey within her documentary, “The Red Pill,” became as much of the story as her subjects. By the end of the project, she found herself sympathetic and supportive of many the men she interviewed. Her world view changed and she emerged more empathetic and understanding of complex issues which once seemed so cut and dry. But because her film wasn’t a slash piece on men, and because her crowd-sourced funders included some men who are known anti-feminists, the media deemed Jaye an evil one and set out to destroy her. 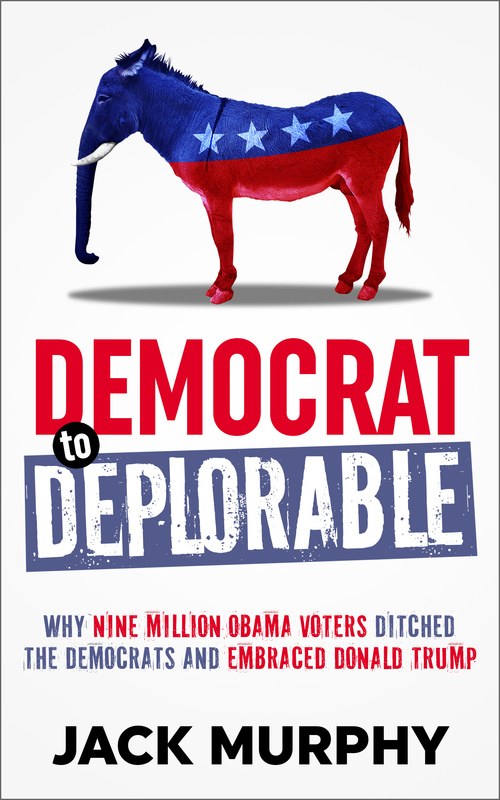 The shame, shun, and smear campaign she endured left her confused, damaged, and hurt. The media couldn’t attack the substance of her work, so they attacked her personally, leaving her reputation damaged and maligned. During her interview, you could feel her pain and worry. The camera work, lighting, and direction all worked together to highlight the human element of Jaye’s story, bringing forth yet another genuine human being who had been ruined by quick hitting disingenuous defamation masked as reporting. I could relate to her as the media coordinated a smear campaign against me too. I was fired, my name ruined, and my professional career left smoldering because of media lies and manipulation. When Cassie got emotional, so did I. It is hard to understand how painful it is to see lies spread about you, lies with real-world consequences for you and your family. This is a common thread in the film and our society today. Hoaxed is Cernovich’s personal revenge. Mike’s journey to producing Hoaxed began when the leftist media tried to character assassinate him. He was becoming too powerful on Twitter, too many people were listening to his counter-narratives, and the media decided to bring him down…or try at least. They dug up old tweets and presented them out of context. They twisted his words to stain his reputation. They lied to achieve political gains. And as he endured the barrage of lies, manipulations, and distortions he earned a purple heart in information warfare as well as a first-hand look into the hate machine which controls our perception of reality. Instead of accepting his fate, Cernovich set out to take down not just the many people who lied about him, but the entire media industry itself. Hoaxed is the final product of that mission…a mission which turned a negative personal experience into a carpet bombing take no prisoners campaign against some of the most potent forces in the world. Hoaxed’s breadth is impressive. Cernovich and team examined media lies from the weapons of mass destruction in Iraq which lead to millions of deaths, to the recent exoneration of communism which killed a hundred million. They tackled issues like genocide. Our government lying to us. The media lying about ideologies, history, and individual people. The over-arching theme for the film is how abandoning the light of truth leads to the darkness of death. This theme should be a good hint about the movie’s biggest star who makes a surprise appearance near the end. Anyone who watches this movie will have a better understanding of how language shapes our reality and when we lie to each other, we lose the divinity that can only come from honesty. Hoaxed isn’t necessarily a movie about Mike Cernovich. He does use his screen time to respond to some lies he’s faced, but Hoaxed used other experts to explain the central thesis. Ryan Holiday’s segment stood out to me because he explained how Mike uses the media’s own playbook to strike back. Holiday thinks is the main reason journalists seem to hate him. Holiday himself is a master of maneuvering the media to do his bidding (read his book “Trust me I’m Lying”). He was an excellent source to explain Mike’s strategies – much more effective than if Mike did it himself. The movie was emotional. I’ll admit, I teared up. More than once. I could relate to Cassie’s pain. I felt terrible for Kiara Robles, the woman wearing a “Make Bitcoin Great Again” hat who had maced sprayed in her eyes by a crazed Antifa member. I shuddered when I watched raw footage of the Bike Lock Murderer attempt to a kill a human being by bludgeoning them in the head with a hefty chunk of metal. And the raw footage of a shooter opening fire on the congressional baseball team was terrifying. All of these incidents were a result of media hoaxes. Humans are trying to kill each other figuratively and literally because of fake news. Mike is worried more people are going to get killed. Hoaxed is Cernovich’s plea to the news media, and to all of us on both sides of the aisle, to rediscover that truth keeps us safe. It is what keeps us sane. Truth is what holds our society together when all the world wants to do is spiral into chaos. Hoaxed makes it clear that fake news and media lies lead directly to misery and death and this is Mike’s way of trying to prevent that. The film was politically balanced. Lots of people are going to be surprised at how even-handed the narrative is. Even Mike gets criticized in his own movie. The left gets taken down for sure, but names and actions of those on the right are called out too. The cast of characters can give the impression the movie is a right wing production – but the reality is that mainly right-wing names have been silenced through hoaxes. One might also think that the film’s narratives would only critique the left for how they handle the right. But that’s not true either. One of the finest moments in the movie is when Hoaxed reveals how the media ignores things on the left…which might help us all. This is another moment I don’t want to spoil, but let’s just say that All Lives Matter will have a different meaning for you when the movie ends. Like all good persuasive content, the movie ends with a call to action. 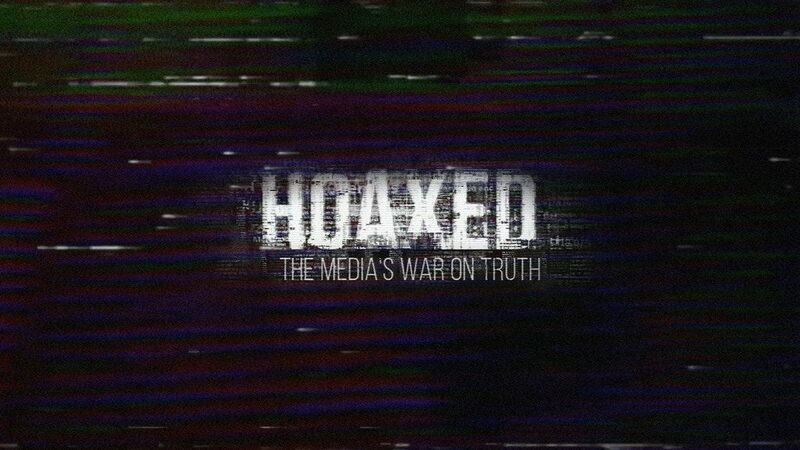 Hoaxed asks us to spread awareness of media manipulation and the damage it can cause. Stefan Molyneux warns us, however, that those of who see shadows and believe they are reality will resist the truth. People become complacent; they feel safe even in the midst of terror because they think their grasp on truth is unbreakable. Humans hang on to their mental models of the world even when they’ve brought nothing but negative results. It’s a flaw in our code. Our loyalty to the “way we’ve done things” can be a powerful force for good but it can also lead us into darkness and away from the light. Molyneux reminds us of this by recounting Plato’s “Cave” and offers a philosophical foundation for why we are so susceptible to misinformation. The cinematography and production level is first-rate. The lighting, the camera angles, the B roll, and the graphics all work together to cast an intense mood. Cernovich had stated he wanted something edgier than Silenced, and he and the production team delivered. There’s a risk making something too edgy it looks like a film school project, but here the team struck a good balance. At times the director cast a harsh, dramatic light on the subjects when the tone was serious or introspective. But in tender emotional moments, soft lighting and a silent score allowed the viewer to empathize with the interviewees. Hoaxed is a high quality, professional production from start to finish. P.S. Hoaxed will be released in late October. You can already purchase the Hoaxed book on Amazon, here. I follow @cernovich on Twitter because I agree with much of what he says. I was going to pass on Hoaxed, The Movie because I already know that the media are gangsters, having studied them since the Panama invasion & the Kuwait baby incubators. But, after reading this review, I’m going to invite some neighbors and go see it! Thanks for reading! The movie doesn’t disappoint. It’s quite well done. Everyone should see it.